One pair of Radio Frequency (RF) transmitter and receiver modules. Each module has three pins: VCC, GND, DATA. Compatible with SparkFun’s RF transmitter and receiver. Operating voltage: 3~12VDC for transmitter, 5VDC for receiver. Transmission range: 500 feet with soldered antenna. 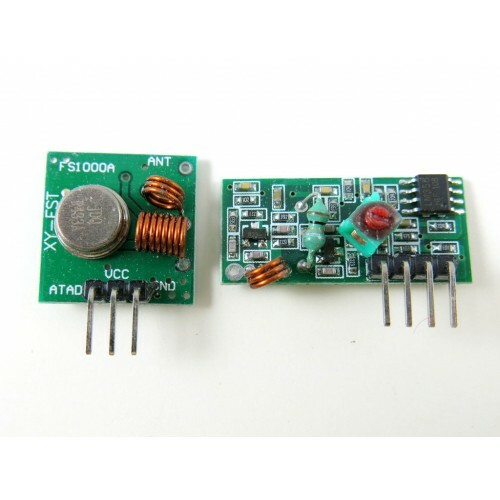 One pair of Radio Frequency (RF) transmitter and receiver modules. 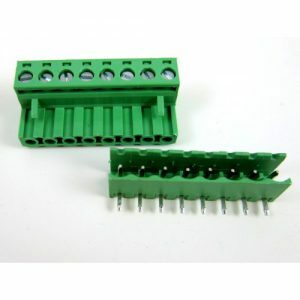 Each module has three pins: VCC, GND, DATA. Choose between either 434MHz pair, or 315MHz pair. Operating voltage: 3~12VDC for transmitter, 5VDC for receiver. Transmission range: 500 feet with soldered antenna. Check this blog post for an example of how to use the RF receiver and transmitter with Arduino and RPi.